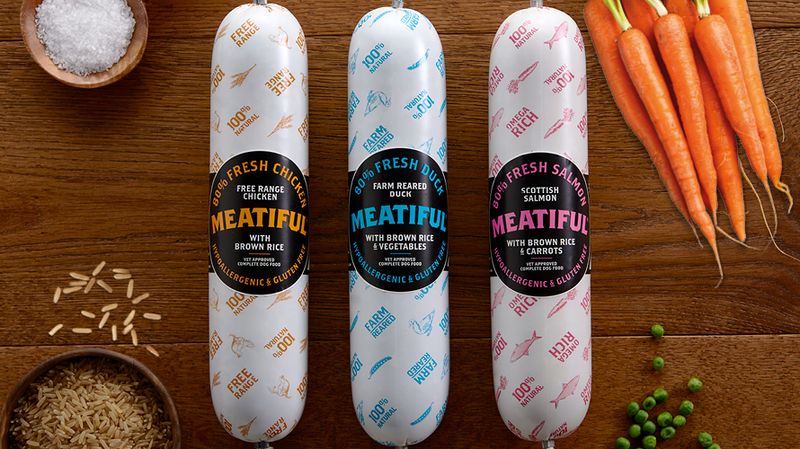 Passionately British, Meatiful complete sausages are produced using prime meat cuts to create high quality single sourced protein foods with the finest vet approved recipes. The healthy pet food sausages we produce are a delicious food that dogs adore. Whatever variety you decide on, your pooch is sure to love our sausages. 100% Natural, 100% Gluten Free, 100% Delicious. 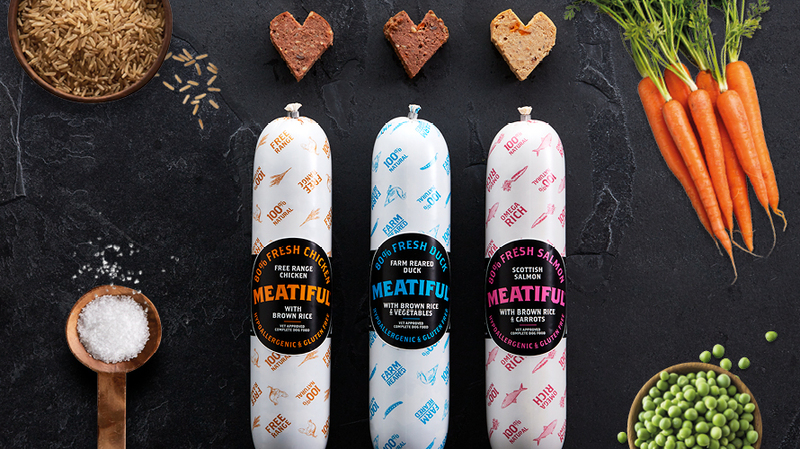 Meatiful creates gourmet goodness for every dog, with no grains and just a small amount of brown rice for an unbeatable source of high fibre and slow-release energy.